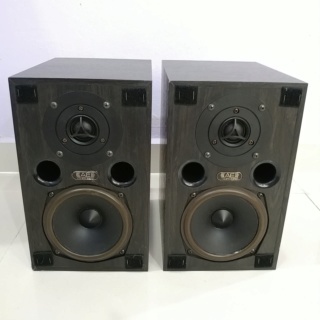 Deserves special mention of the fact that the mid-bass head with metal diffusers for AE200 is the technology applied in the manufacture of drivers for AE series loudspeakers Reference, occupy very honorable position among the systems of the highest quality. Using metal as material for the diaphragms emitters allows fairly easy to achieve a high bending stiffness and thus closer to the desired displacement of the radiation mode (all the points of the cone move at the same speed). 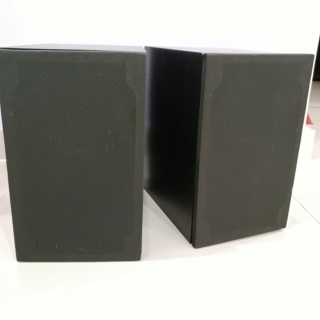 In addition, the effective scattering extensive metal surface heat generated by the voice coil, helping to reduce harmonic distortion. Listening confirmed that small AE200 fully inherent characteristic for most systems Acoustic Energy dignity - clear, true-to-mid frequencies. 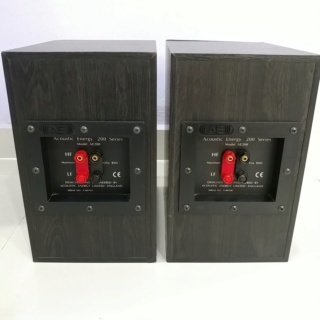 For large and for small signal amplitudes speakers manage to keep full dynamic scale prototype. Frankly, even a little strange to hear how this tiny pair of speakers easily conveys the true power of the orchestral brass unity. Sounding treble leaves any substantial grounds for criticism: very good details are displayed overtones wealth of live instruments; image open, airy and fresh. To immaterial also may include sometimes occurs slight sense of compulsion to stress the sizzling sounds. It is clear that good quality mid and high frequencies the system is not in the least obliged to take care of designers on the rigidity of the body columns. 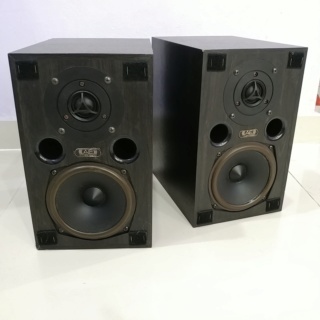 Bass in AE200 have decent for a small-sized acoustic depth: even saturated bass symphonic fragments does not occur for many typical shelf system total emasculation of the image at the expense of frank clipping most of the low-frequency range of the segment. The system is unable to keep the listener a sense of completeness and integrity of the image. However, the purity and clarity of the image of the bass noticeably worse in comparison with those in the midrange. At high volume levels, this difference seems to be more pronounced. 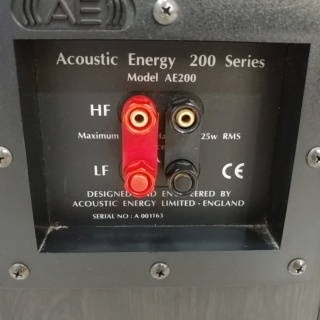 AE200 - a good option compact High Fidelity, and not only for small areas. It will be appreciated by lovers of chamber classics, most diverse vocals, almost all modern music styles (unless their is not based on the destructive power of the bass, of course).